Figure 2.5. Expendable vehicles are for pioneers to open up new frontiers and establish a oneway movement of people and resources. Figure 2.6. Sustained-use vehicles industries used to open up new economic frontiers and establish scheduled, regular, sustained two-way flows of people and resources. Reusable Launch Vehicle (RLV) and Highly Reusable Launch Vehicle (HRLV) concepts, but this is a far cry from the sustained-use, long-life aircraft represented by the DC-3. The fact that each expendable launcher is launched for the first, last and only time punctuates our failures. The expendable launcher market is limited, and so is the potential to justify further developments. All of the nations that launch satellites followed the same path, in a sort of "follow the leader'' mindset. 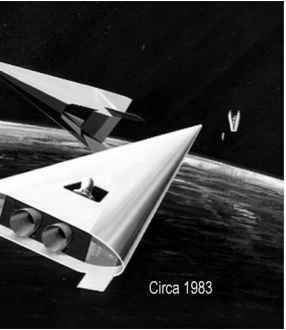 The dream of a space transportation system was never permitted to become reality, unlike that of an airline transportation system. 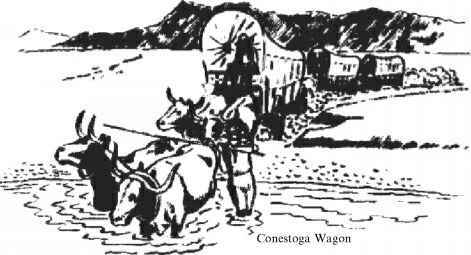 The difficulty is that few transportation systems began with an already existing, or ready-made customer base, whether the first coal transport to the coast from York, England, in the early 1800s or the United States Transcontinental Railroad [Ambrose, 2000]. In the 1870s most of the customers came only after the transportation system was established and two-way commerce could begin. As depicted in Figure 2.6, the railroad enabled the two-way transit necessary for the development of an economic frontier. 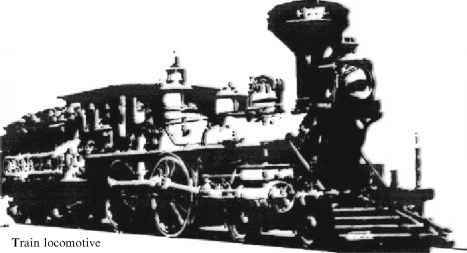 According to the historical records, between 75% and 80% of the businesses founded in the westward expansion did not exist at the time the railroad began. In the 6 years (1863 to 1869) that it took to build the transcontinental railroad an enormous quantity of men and materials were consumed. Stephan Ambrose's book, Nothing Like It in the World, documents the dedication of the dreamers, surveyors, tracklayers, graders, engineers and laborers that made the transcontinental railroad possible [Ambrose, 2000]. Compared to the task of designing, surveying and building the United States Transcontinental Railroad, developing and launching the first sustained use aerospace plane appears to be less labor-intensive and less of a challenge. The current approach of analyzing a future market based on present concept of operation demonstrates that no market exists. The result is the conclusion that the status quo is either sufficient or even overcapacity. Planning a future transportation system to that non-existent market will not yield a satisfactory system now, nor would it have in the 1850s for trains or in the 1930s for aircraft.